Tamil Nadu Opposition Leader MK Stalin has approached Madras High Court against the trust vote conducted in TN Assembly on Saturday. The Division Bench comprising Acting Chief Justice HG Ramesh and Justice Mahadevan will hear the matter tomorrow. Today morning Advocate Shanmugasundaram mentioned the matter before the Division Bench and submitted that though the Bench has agreed to hear the petition today, it was not listed. The Bench said that it is scheduled to rise early, because of the full court reference to condole the demise of Former Chief Justice of India Altamas Kabir who passed away on Sunday. A confidence motion was moved by Chief Ministerial candidate Thiru Palanisami in TN Assembly and was adopted after voting on Saturday. According to the petitioner, the Chief Ministerial candidate’s motion was illegally declared as adopted and there was total malafide and arbitrary exercise of power by the Speaker of the Assembly. The petition alleged that MLAs belonging to the AIADMK were illegally detained against their will and were brought in vehicles arranged by the supporters of the Chief Ministerial candidate in order to vote in his favour. “As this was against the accepted democratic principles and against the guidelines issued by the Election Commission of India even for voting in the general elections, the Petitioner being the Leader of the Opposition, prayed the 2nd Respondent/Speaker, not to allow open voting and order for either secret ballot, or in the alternative to adjourn the motion after few days in order to free the Members of the Legislative Assembly from captivity to exercise their vote freely without any undue influence,” it said. It was also submitted that the order passed by the Speaker illegally evicting all the MLAs of the opposition party with highhanded police force was contrary to rules, thereby preventing ‘our DMK party’s MLAs to exercise our franchise on the floor of the Assembly’. 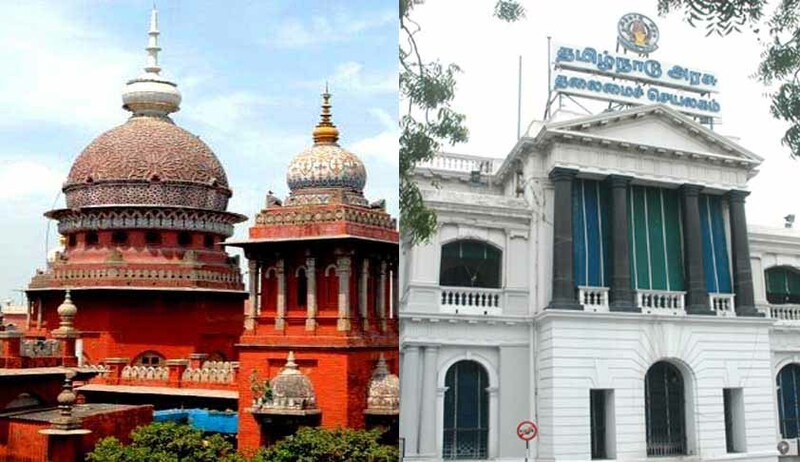 The petitioner prayed that the entire process and conduct of the proceedings by the Speaker on 18.02.2017, on the floor of Tamil Nadu State Assembly was liable to be declared as null and void on the grounds of total malafide, perversity and violative of the rules of the principles of natural justice. “As the democracy is under the serious threat at the hands of the Ruling party headed by the fifth respondent, immediate intervention of this Hon’ble Court is warranted,” he said. The petitioner sought a direction to the Speaker to conduct fresh floor test on the confidence motion moved by Palaniswami by holding secret ballot to each of the MLA of the respective legislature party, who are present in the Assembly, without evicting any of them, under the observation of the Monitoring Committee consisting of Secretary to Governor of Tamil Nadu, Chief Secretary of Government of Tamil Nadu and an official from Election Commission of India not below the rank of Chief Electoral Officer of a state, within a reasonable time to be fixed by court.